"this is actually a kataguruma. The uke looks like Alan Nagahisa. The pictures may have been taken on Sunday morning after misogi training and practice. 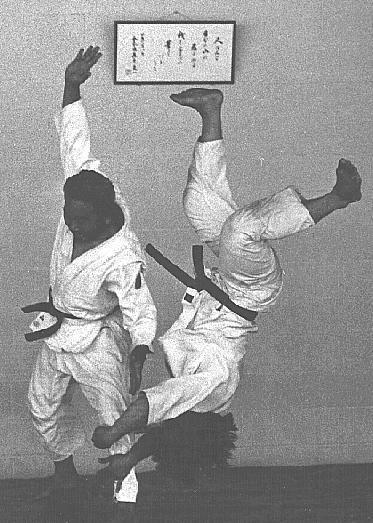 Yoshioka Sensei used to have a Sunday session back in the late 60's into the 70's where he would put students through misogi (purification) training similar to what he had experienced in Japan on a training trip. Since it was not a technical practice, no hakama was worn."